The divorce process can be stressful and frustrating, especially if one spouse suspects the other of hiding assets, being in a relationship, or general dishonesty. It can be tempting in these situations to do some snooping in an effort to dig up evidence against the other party. This is rarely a good idea, as it can actually lead to criminal charges, fines, and even jail time, so if you have concerns about your ex-spouse, it is critical to speak with an experienced divorce attorney who can advise you on your next steps. Over the last decade, we have become more and more reliant on electronic devices for communication. 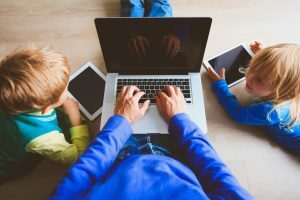 This can make it much easier and much more tempting to do a little snooping on someone’s computer or cell phone, especially for those who are going through an acrimonious divorce and are certain that their spouse is up to no good. Doing so, however, could not only jeopardize a party’s attempt to receive sole or joint custody of the couple’s children, but could land him or her in jail. This is because federal law prohibits unauthorized access to private email accounts. In fact, a few years ago, a Michigan man who suspected that his wife was having an affair, logged onto his wife’s email account to confirm the relationship and was later prosecuted for invading her privacy. Although the man argued that he took this step out of concern for the effect that his wife’s relationship was having on their daughter, he was charged with felony misuse of a computer, which carries a penalty of up to five years in prison. Attaching a GPS device to the other party’s car. Using these kinds of methods to gain information about a spouse is extremely risky, especially for those who are going through the process of divorce. Even if criminal charges are not filed, the party presenting the evidence could face sanctions from the judge, which could play a role in important aspects of the case, including child custody arrangements. In some cases, the evidence will not be admissible at all, especially if it was collected improperly. To ensure that you do not mistakenly violate your spouse’s privacy during a divorce, it is important to contact an experienced attorney who can explain your legal restrictions. If you believe that your spouse is involved in dangerous or unlawful endeavors, please contact the legal team of Iafrate & Salassa by calling (586) 263-1600. We are standing by and eager to address your divorce-related questions and concerns.